How Do I Time Income and Expenses at the End of the Tax Year? If you are reading this in the fall, or even December it's a good time to think about how you can save money on your business taxes by timing income and expenses. Many businesses have found that they can minimize business taxes year-to-year by considering carefully when to make payments to increase expenses and tax deductions and push receipts to create income at the end of the tax year. In general, you want to move income into a year of lower taxes and expenses into a year of higher taxes, but this is a big over-simplification. If you want to lower your business tax bill this year, pre-pay insurances, mortgages, and loans to increase your expenses. End of the tax year expense and income timing applies in several financial areas, including payroll taxes, gifts and donations, and credit card payments. The timing of income and expenses is tricky, and a move you make could have unintended consequences. Discuss timing ideas with your tax professional before you commit to them. When are Income and Payments Received? For example, a check might be held by an agent or in your bank account through direct deposit. Even if you don't have the money in your hand, you can use it if you need to, so you must consider it as received in that year. The new Tax Cuts and Jobs Act that is in effect for 2018 taxes will have an effect on your timing of income and expenses. Lower taxes in 2018 might mean you need to think about when to do what. For example, the tax rate for corporations is now 21%, down from the tiered tax rate of 2017, which was up to 35%. In addition, higher accelerated depreciation allowances may prompt you to buy equipment and vehicles in 2018. Of course, speak with your tax advisor about how the new tax bill might affect your taxes. The first thing you must ask before considering moving money between two years is what accounting method you are using. The accounting method you use for your business (cash or accrual) makes a difference in the timing of payments and income and in the determination of constructive receipt. In cash accounting, you recognize the income when it is received and the expense when the bill is sent. In accrual accounting, you recognize the income or expense when it is established (when the bill is sent or received). Read more about the differences between cash and accrual accounting before you attempt to time income and expenses between tax years. Let's say you do work for a customer on December 30 worth $300. You bill this customer the $300 December 31. In cash accounting, the amount you billed isn't counted as income, because you haven't received the money. but under accrual accounting, you would count this amount as having been received. 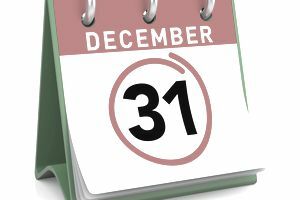 For the most part, there's not much you can do to change the year for transactions in cash accounting, but there are some ways to change the year for accrual transactions. Employee wages at year-end are sometimes tricky, because of constructive receipt. Employee wages must be recorded in the correct year, and the date of the paycheck is controlling. If a paycheck is dated in December, that is the year the employee is considered to have received the pay, even if the paycheck hasn't been picked up yet. Sometimes, paychecks reflect income from two years; the last week in December and the first week in January, for example. If the paycheck is dated in January, all of the income is considered to have been received in the second year, because the employee did not have receipt of the money in the first year. But, if the employee had access to the wages in the first year "without substantial limitation or restriction" (remember constructive receipt), even if the check was dated in the second year, all of the money is considered to have been received in the first year. This might be the case if the money is deposited using direct deposit in December, for a pay period ending in January. Some years have more pay periods, which might also affect the amount of an employee's paycheck between two years. This issue affects amounts on employee W-2 forms. Check with your tax professional if you aren't sure how to allocate employee pay across two years. Gifts and donations If you want to get credit for making a charitable donation, make sure the check is deposited this year. Use a certified check or electronic funds transfer rather than sending a regular check in the mail. Read more about business tax deductions for charitable gifts, to be sure the gift or donation is deductible. Expense payments. Use the same principle as described for gifts and donations, and remember constructive receipt, to make sure the recipient takes receipt of the payment. For example, if you are pre-paying your business insurance or loan, send the payment electronically or walk the check to the recipient. Your December bank statement can be used to substantiate the receipt of the payment. Buying assets. The IRS considers an asset to be owned by a business when it is "put into service," that is ​when it has been purchased and received and begins to be used. So even if you buy the asset this year, if you don't start using it until next year, you can't take a depreciation expense this year (bonus depreciation, for example). It's certainly appropriate to use a credit card to make those end-of-year payments. You don't have to pay off the balance now, but the expense can be recorded this year. For example, if you buy a laptop for your business before the end of the year, using your business credit card, you can get the tax deduction this year and pay off the credit card next year. An independent contractor that performed work for your company may have received a payment in early January, but you might have mailed (and recorded) the payment in December and recorded the payment as part of the contractor's Form 1099-MISC for this year. The independent contractor should include the payment as it is reported on this year's Form 1099-MISC, but subtract the payment and attach an explanation with the return. The independent contractor must then include the payment on next year's return, even though no 1099 will be issued for next year. Read more about how to save on business taxes with these end of the tax year tips. What is Constructive Receipt of Income?